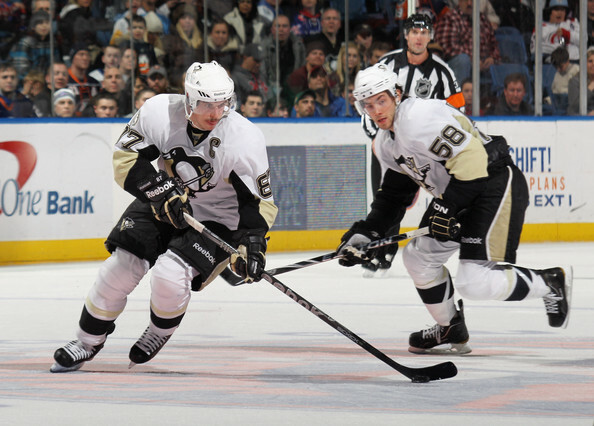 Penguins General Manager, Ray Shero brought two players into the Steel City on consecutive days. Shero brought in Dallas Stars captain Brenden Morrow, in exchange for Joseph Morrow and a 2013 fifth-roud pick. Then, before the ink could even dry on that deal, the Pens brought in defenseman Douglas Murray and shipped out a 2013 and 2014 second-round pick in return to the San Jose Sharks. The Penguins come out of these deals a much bigger and grittier team. Murray, a traditional stay at home defenseman, is a towering 6'3"tall and is not afraid to throw his body around. In Morrow, the Penguins added a 13 year veteran who can light the lamp and lead by example. This is a great move by Shero and the Penguins' front office. They did not sit back and wait for the deadline to pressure them into making a ill-adviced deal. They got their deal out early and brought in their prizes with over a week, a total of four games, before the deadline. This gets Morrow and Murray in the line-up before most trade deadline gems, and brings their impact to the team quicker and longer. It gives the guys more time to build chemistry, get used to new systems and overall become accustomed to the new environment. These two players are brought in during a 12-game win streak by the Penguins. Will that hurt the Penguins' chances of extending that streak when they face the Montreal Canadiens tomorrow night? Besides some possible first shift jitters by the two, these two should jump in right in stride and help prolong this streak. If it does take a game or so for the them to get accustomed, it does not matter. It does not change the main point, the Penguins are the real deal.